Which social media channel is going to provide the most ROI for your specific business? We’re analyzing the top 10 social media sites for business. In a world where new social media channels are popping up all the time, how does a company devote their time to the ones that will be most beneficial for an e-commerce business? From Snapchat to Instagram, a look at how you can find the best social media platforms for your business. 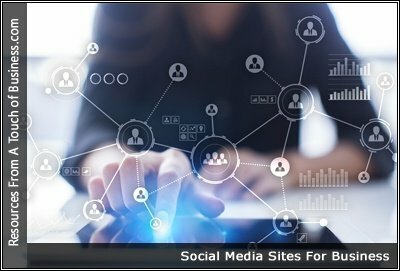 In this article, we share the best social media for business options and how to get started marketing your business on each of them today. The purpose of social media for businesses is to attract, engage and retain customers. After evaluating most of the social media sites out there, we’ve put together a list of the best social media for business owners. Every business is familiar with Facebook, Twitter, Instagram and LinkedIn but you may need others based on your industry. The best social media platforms for your business. Maintaining multiple social media networks is a lot of work, this guide helps you make the most of them. It is commonly suggested that to increase your brand presence, you need to be active on all forms of social media. While that may be true, unless your company has a dedicated social media coordinator, finding the time to maintain every platform out there can be extremely time consuming.